Billowy linen curtains add special softness to any room and they look fabulous in this long hallway. 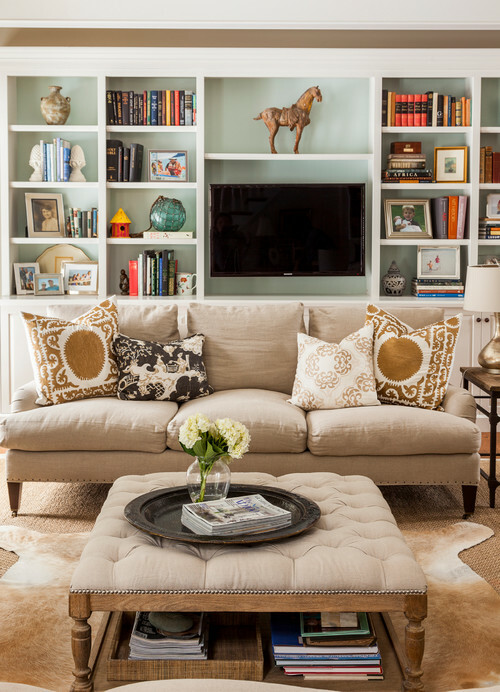 A heavy weight linen is great for upholstery due its strength. It’s a much stronger fabric than cotton. Cotton is my absolute favorite fabric! Did you know that linen is used to make dollar bills? It’s true! Dollar bills are 75% cotton and 25% linen. I wonder if that’s why those are my favorite fabrics. You’ll find linen used a lot for slip covers. It’s an easy fabric to sew. 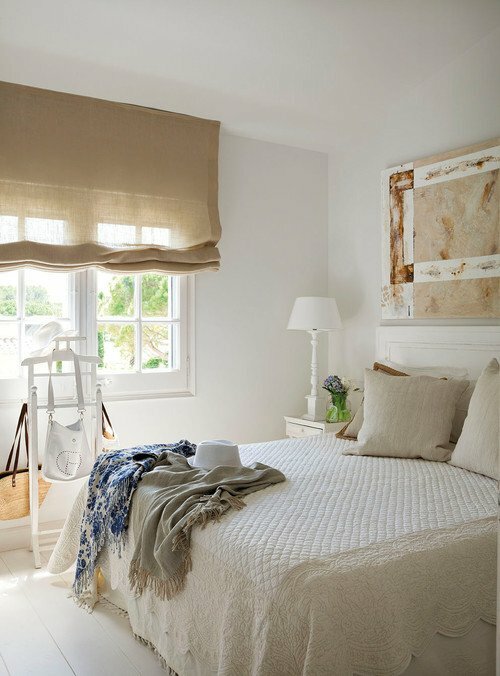 I’m currently on the lookout for natural linen curtains for the bedroom, which is getting a mini-makeover. And I just received a new linen table cloth and napkins that I’ll share soon. 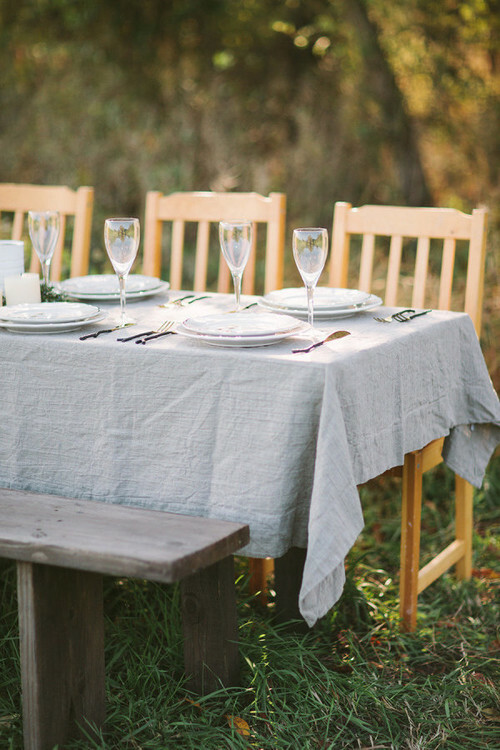 Linen table cloths like the one below are so soft and pretty. This table wears a layering of linen decorations. So pretty! 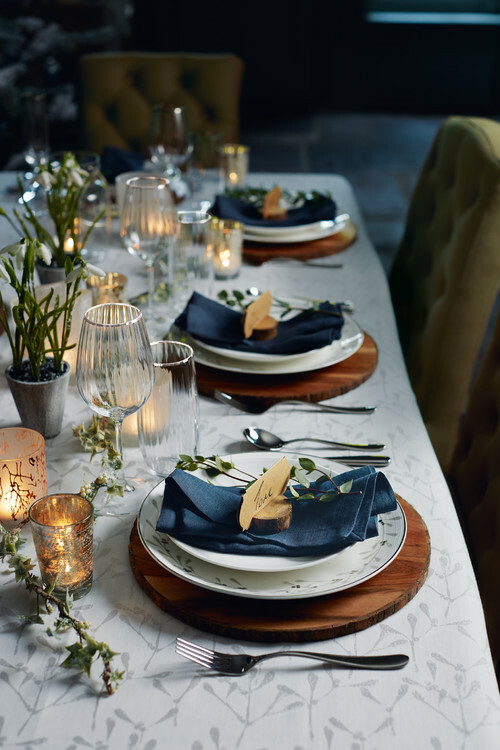 Linen napkins make a pretty table setting whatever the season or celebration. 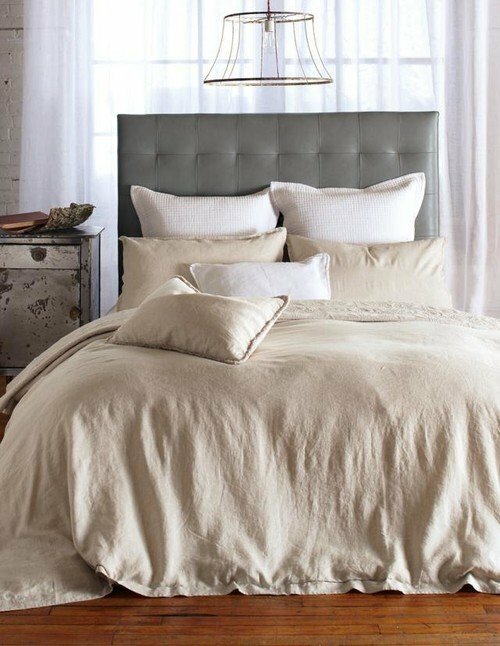 Linen bedding looks luxurious in a soft yet indulgent way. 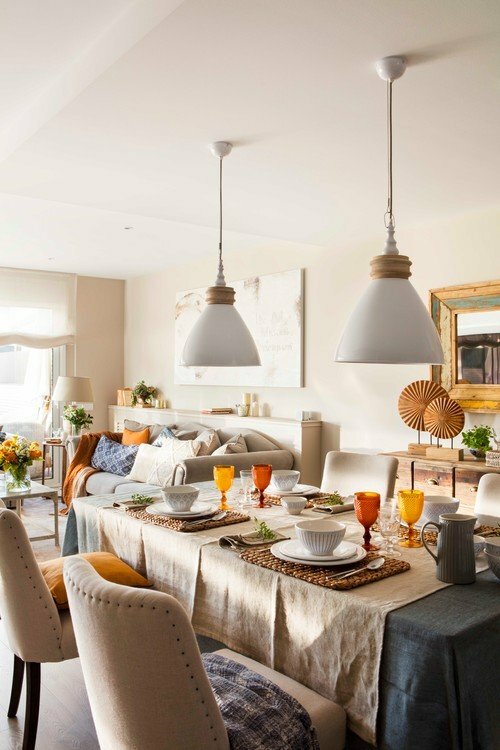 While linen decorations in neutral tones are most popular, you can find colorful linen, too. Linen is made from flax and is one of the oldest textiles in the world. Egyptians used it for mummification and the Shroud of Turin that wrapped the body of Christ is also linen. I love the look of linen used as a window shade. It provides privacy but allows light to shine through. I’ve been debating whether to get linen or bamboo shades. My current Roman shades are looking worn and tired. Do you have any linen decorations in your home? If yes, do the wrinkles bother you? 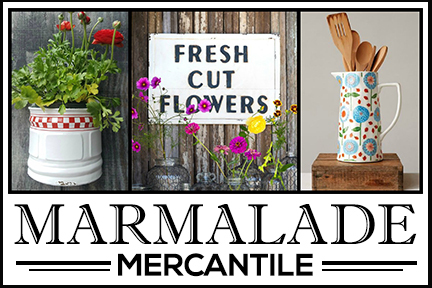 On another note – a winner was chosen for the Martina McBride cookbook giveaway. Congratulations to Ruth S!! An email has been sent with the good news and I’m anxious to send the new cookbook on its way. For those who didn’t win, you can purchase Martina’s Kitchen Mix cookbook on Amazon. HELP! I guess because of linen in summer clothes, I thought it was only for use in summer. Doesn’t it have to be ironed???????????? I too like the look in household items! 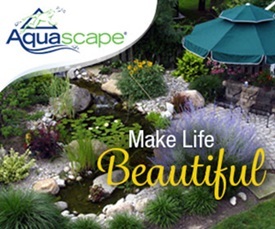 Give us a good source for bedding, window treatments, and covers. I would enjoy the colors as well. YOU are the best! Looking forward to more on linen fabrics. For lovers of the “shabby” look, I noticed a lot of linen that is never ironed. I have a linen pant suit that I love but can’t make myself put it on until it is ironed. Even though it wrinkles quickly I don’t mind the wrinkles if I know it started out pressed! I have an antique linen tea towel with very fancy hand made lace and tassels on the one end which I used on a roller blind in a bathroom. It is now a lovely curtain in the former window of my guest room. Still looks wonderful!! All beautiful ideas. I have a linen comforter that I love. I think it’s time to add some more linen to the rest of the house! Thanks for the inspiration. I also love the look of linen and cotton. It reminds me of a farmhouse . Maybe it is the neutral shades. It sure is pretty. 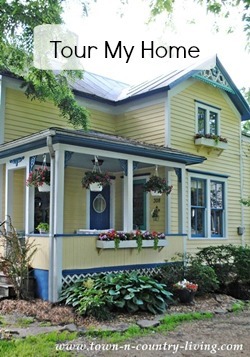 Yes – a farmhouse! For me it’s a combination of the shades and the texture. 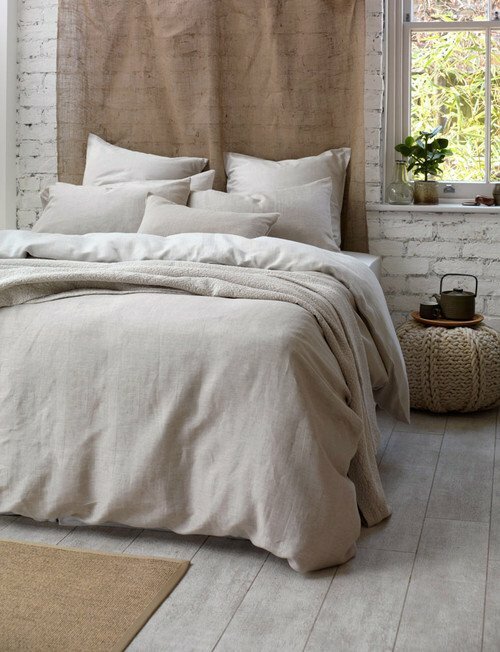 There’s just something so organic about linen! 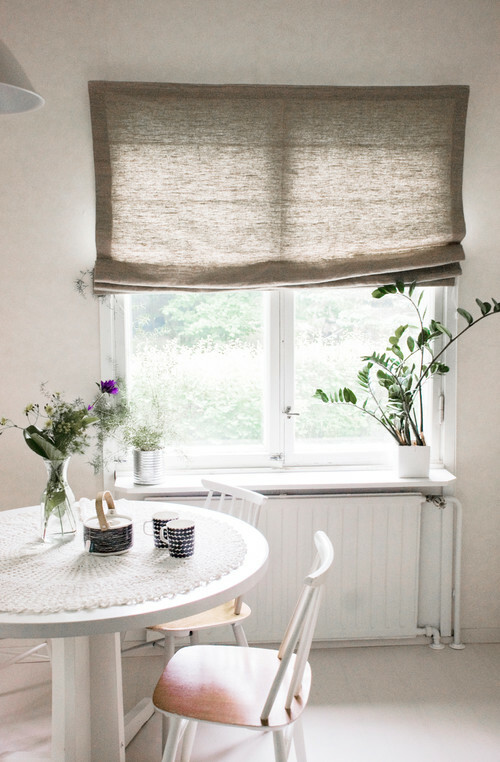 For natural linen curtains, check out ikeas Aina curtain. I bought them and love them! Thanks for the tip, Laura! Most of the linen curtains I’ve looked at are expensive. 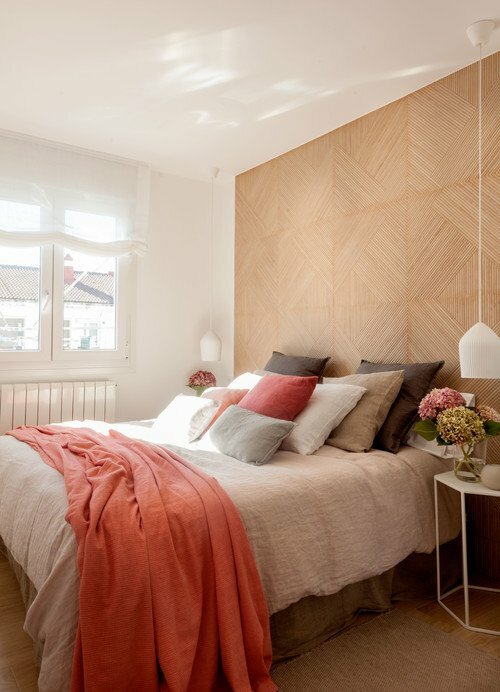 I think I’m going to get the Aina curtains in beige. They seem to be just what I’m looking for. I have some linen i am making curtains out of . I too love linen thank you for all these examples of linen. I”m not sure but aren’t antique grain sack made out of linen? I have some of those and a few old european sheets, i love to sew with these. I have a set of linen sheets that I absolutely love! The wrinkles used to bother me in the beginning, but they are so soft and comfy I quickly got over that! They don’t get much use in winter, but are my favorite sheets in summer. And linen drapes are heavenly! I just finished ironing a large wicker basket full of vintage linen sheets, pillowcases, vintage bathroom towels and many kitchen towels. Once you sleep on linen sheets, you will never want anything else! Another wonderful fabric is vintage French metis. It is a cotton/linen blend. It keeps you cool in summer yet warms you up in the cold. Living in Miami, FL, I wear linen eight months out of the year. I am now a grandmother, but back in the 70’s, when polyester ruled, I bought a beautiful suit in a spectacular linen; sewed in each piece was a label that said, “Guaranteed to Wrinkle”. I fell in love! How do you feel about using drop cloths opposed to linen? I recently wrote a blog about the beauty of using drop cloths for everything – including slip covers and drapes. 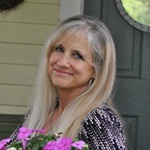 Just found your blog and I am so happy! I love linen. The only time I have it pressed is for napkins. My bed duvet is linen and it comes out of the dryer very soft and only slightly wrinkled in a shabby chic way. The more it is laundered, the softer it gets. Thank you for the beautiful photos.